What do Screwdrivers and Rotting Butter Have in Common? Here's a hint: it all has to do with that smell. Have you ever encountered an old set of screwdrivers that just smell, well, awful? Maybe you were gifted an old, hand me down toolbox from a relative only to be assaulted with the smell of vomit as soon as you opened it. If you're any kind of handy person, you've probably been there. Such horrendous olfactory encounters can lead to all sorts of questions: What is this madness? Is this all in my head? Did the cat puke in here? When did I get a cat? 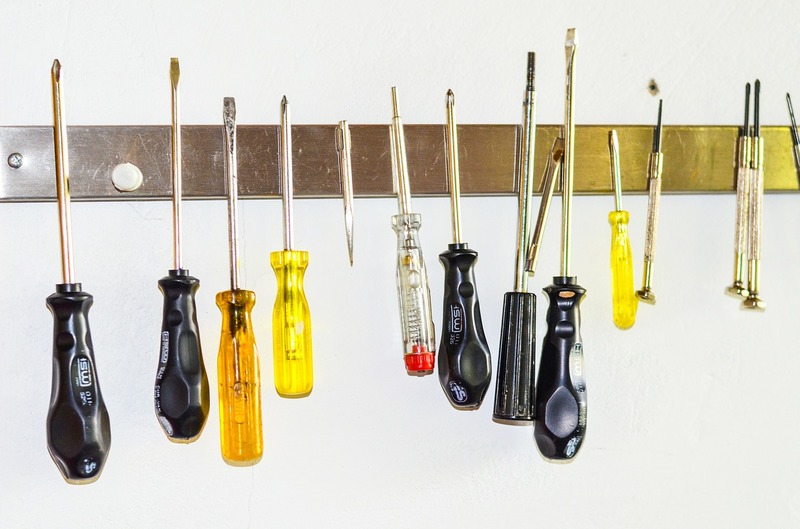 If you're encountering smelly tools, the plastic is very likely to be the culprit (unless it's possible that someone did in fact puke in your toolbox). Chances also are that such plastic is Cellulose Acetate Butyrate (CAB) or another type of butyrate plastic. CAB synthetic plastics are produced by the chemical modification of cellulose (wood pulp) and modified using butyric and acetic acids. Cellulose diacetate, a grade of cellulose acetate, is often used to make thicker, three-dimensional shapes and objects that mimic tortoiseshell, ivory, wood, and mother-of-pearl. As a whole, Cellulosics are characterized by good strength, toughness, and high surface gloss. CAB is a tough material with relatively low moisture absorption, high resistance to weathering, and excellent transparency. If your screwdriver handle is clear plastic, it could be a cellulosic. Now, if your screwdriver is made of Cellulose Acetate Butyrate, the heart of your olfactory problem is butyric acid, which is produced by cellulose butyrate and cellulose acetate butyrate. Butyric acid is a fatty acid (a carboxylic acid) that is found in milk, butter, parmesan cheese, and as a product of anaerobic fermentation (it's found in the colon and in body odor). It has a distinctive and characteristic smell of human vomit— this is because it is the main smell of human vomit. Some will describe butyric acid as reminiscent of sweat, smelly feet, sour milk, etc .... but one thing's for sure: one whiff of this will send you reeling. 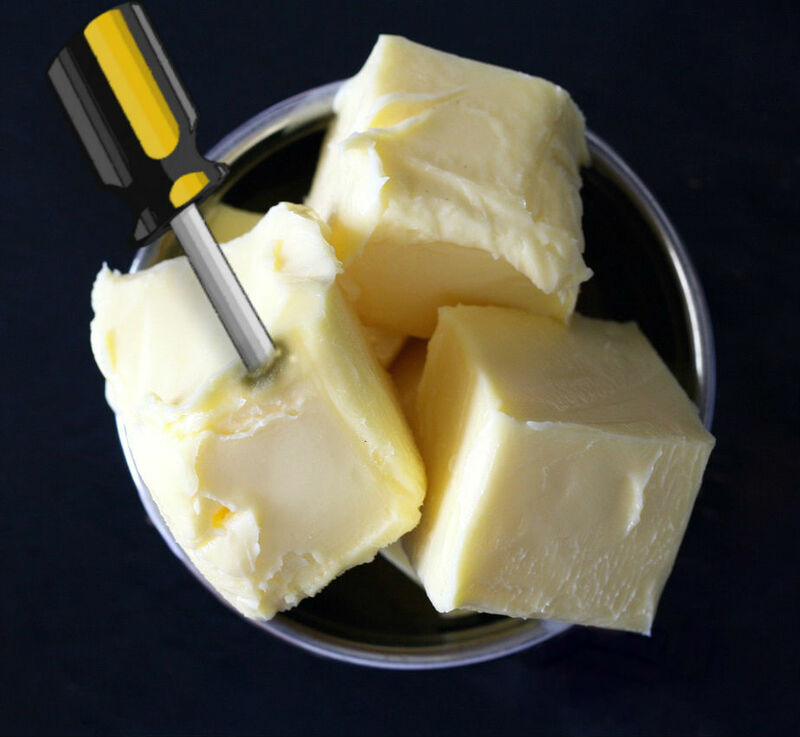 The name butyric acid comes from the Latin word for butter, butyrum, because French chemist Michel Eugène Chevreul first extracted it from rancid butter. And this, ladies and gentlemen, is what screwdrivers and rotting butter have in common: butyric acid. While CAB is a hearty synthetic plastic and particularly handy for use in toolmaking, it can degrade with exposure to heat and moisture. This degradation releases butyric acid and that foul, vomit-like odor. If your tools smell disgusting, plastic degradation —is the likely culprit.